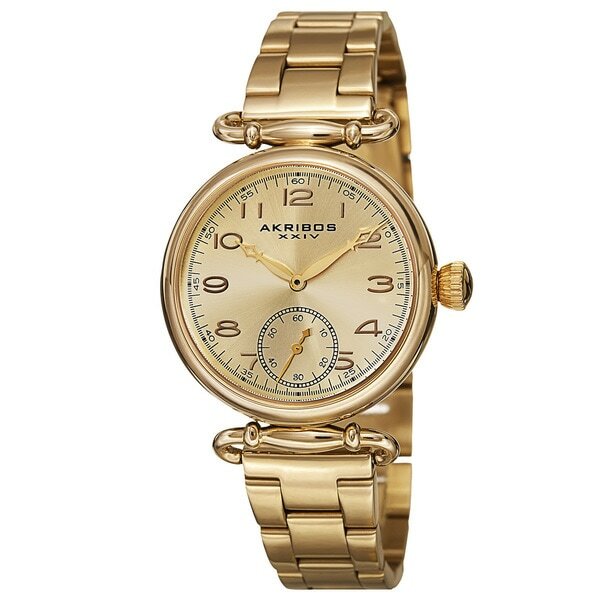 This Akribos XXIV women's watch has a sturdy stainless steel bracelet and is powered by Japanese quartz movement. It features a multifunction sunray dial and easy to read markers. The beautiful decorative lugs add a touch of class to this stylish timepiece.